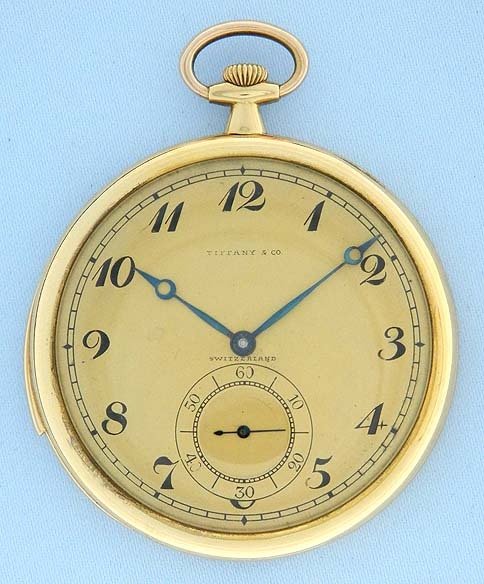 Fine, scarce and handsome Art Deco ultra thin 18K gold minute repeater made for Tiffany by Touchon circa 1925. 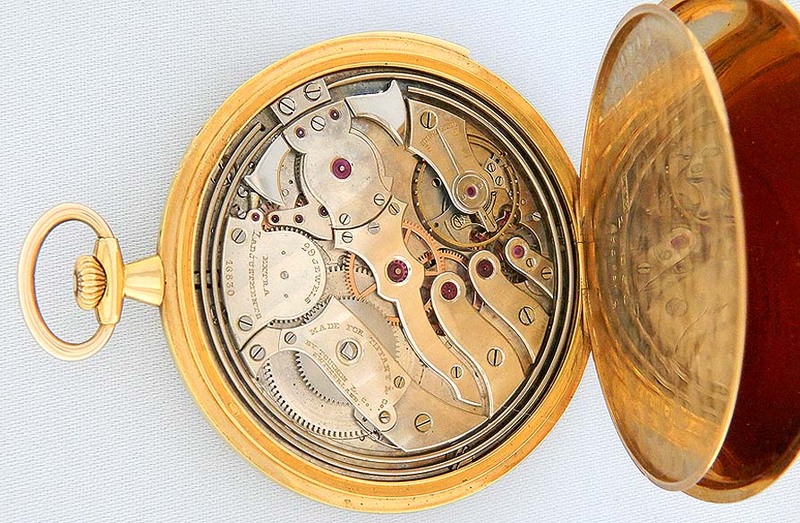 Gold dial with hard fired enamel markings and blued steel Breguet hands. 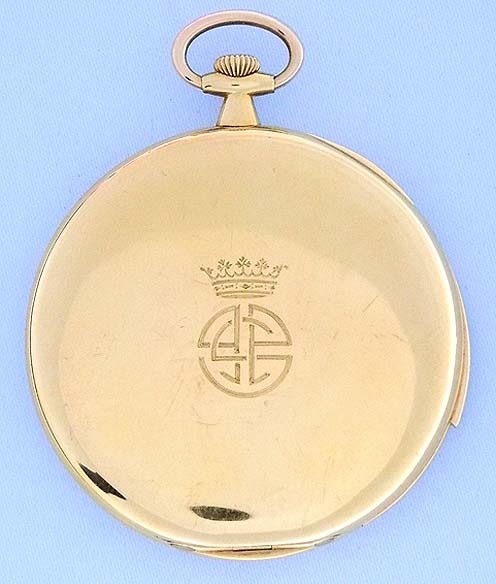 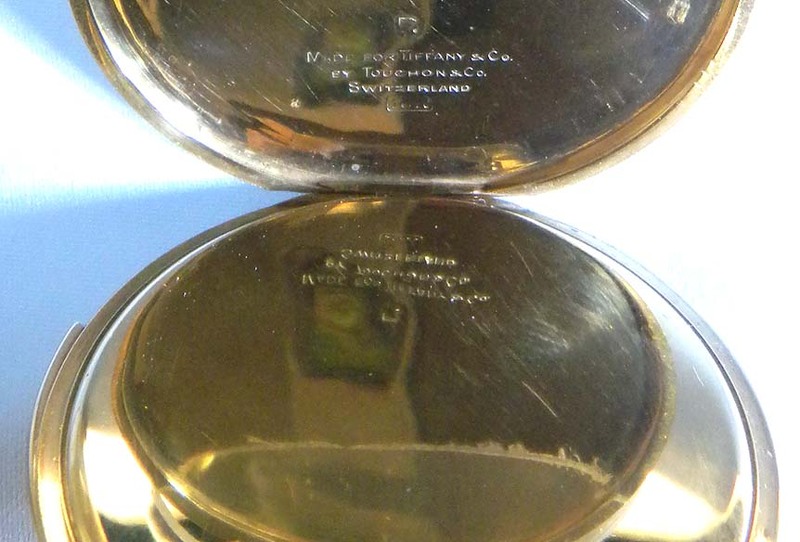 Plain polish case with hidden hinges, royal monogram and recessed repeater slide. 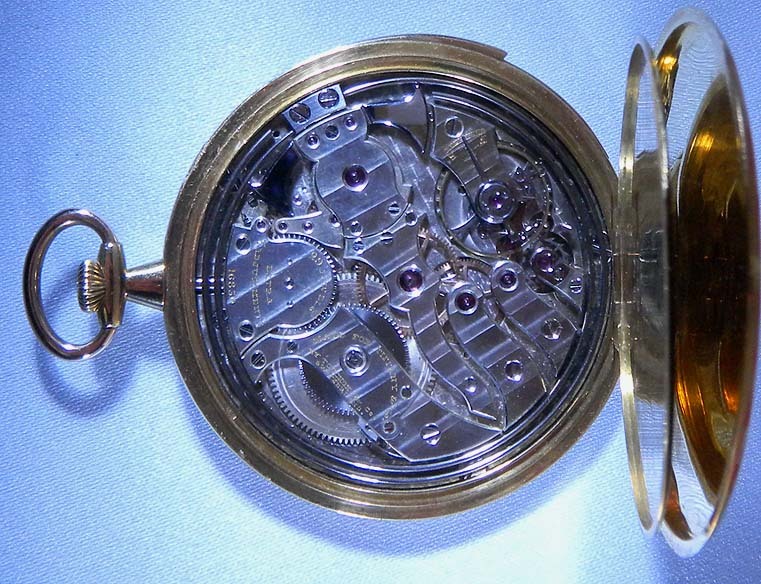 First quality 29 jewel 7 adjustment movement.